Buy Wholesale DIY Reptile Enclosure & Cage Parts For Sale at Bulk Prices! 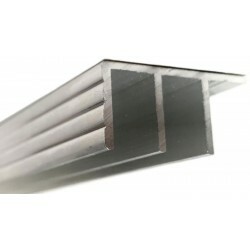 Aluminum Screen Vent - 1"
These are the most popular Aluminum Screen Vents for Tarantula Enclosures. They have smooth fronts and do NOT have any writing on them. 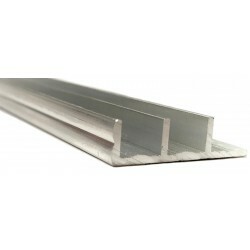 Size: 1"
Aluminum Screen Vent - 1.5"
These are the most popular Aluminum Screen Vents for Tarantula Enclosures. They have smooth fronts and do NOT have any writing on them. 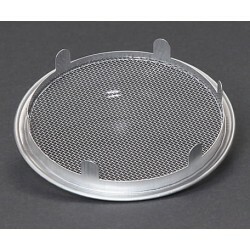 Size: 1.5"
Aluminum Screen Vent - 2"
These are the most popular Aluminum Screen Vents for Tarantula Enclosures. They have smooth fronts and do NOT have any writing on them. Size: 2"
Clear Plastic Display Box - 2.25" x 2.25" x 4.25"
Make your own mini Tarantula enclosures! These Clear Plastic Boxes have deep lids. Turn them upside down with the top being used as a bedding reservoir for arboreal species, or upright for terrestrial species. All you need to do is drill holes (carefully) and add vents! Exact Dimensions: 2 5/16" x 2 5/16" x 4 3/16"
Clear Plastic Display Box - 3.25" x 3.25" x 6.25"
Make your own mini Tarantula enclosures! These Clear Plastic Boxes have deep lids. Turn them upside down with the top being used as a bedding reservoir for arboreal species, or upright for terrestrial species. All you need to do is drill holes (carefully) and add vents! Exact Dimensions: 3 1/2" x 3 1/2" x 6 1/4"
Clear Plastic Display Box - 4" x 4" x 7.25"
Make your own mini Tarantula enclosures! These Clear Plastic Boxes have deep lids. Turn them upside down with the top being used as a bedding reservoir for arboreal species, or upright for terrestrial species. All you need to do is drill holes (carefully) and add vents! Exact Dimensions: 4" x 4" x 7 1/4"
Clear Plastic Display Box - FLAT TOP - 2.25" x 2.25" x 3"
Make your own mini Tarantula enclosures! These Clear Plastic Boxes have a flat top that is flush with the opening. All you need to do is drill holes (carefully) and add vents. Exact Dimensions: 2 5/16" x 2 5/16" x 3 1/16"
Clear Plastic Display Box - FLAT TOP - 4" x 4" x 5"
Make your own mini Tarantula enclosures! These Clear Plastic Boxes have a flat top that is flush with the opening. All you need to do is drill holes (carefully) and add vents. Exact Dimensions: 4" x 4" x 5 1/16"